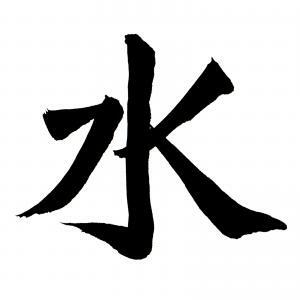 The water symbol is one of five symbols that represent feng shui elements. You can use this symbol help restore balance in certain areas of your home. Before adding any symbols for elements in your home, make sure you know in which direction your home is set and where each element is located. For example, you don't want to add a water element in your fire sector unless there is an issue of too much fire and you need to weaken it. If you think in terms of how the real elements function in nature, it'll help you in determine what corresponding and helpful elements to add to each sector of your home. Adding elements that fortify the energy in certain areas of your home will attract more of that element. 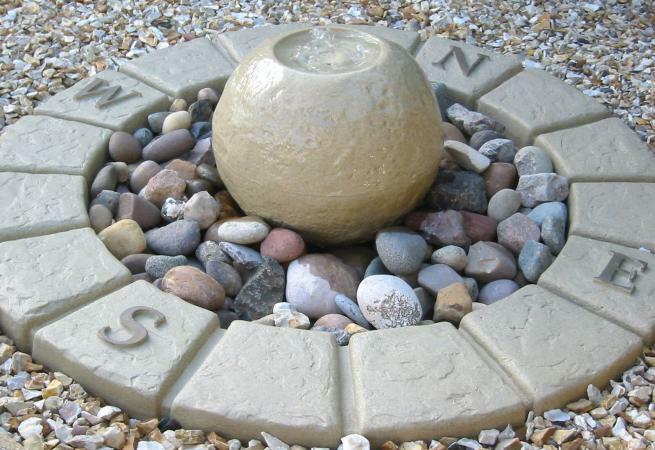 A water fountain, small or large is an excellent symbol you can use inside or outside your home. Moving water symbolizes wealth flowing to you. If you choose to use a water fountain, there are four very important feng shui rules you need to follow when placing this feature. Never place a fountain or any water feature in a bedroom. The energy is too disruptive and will result in loss. Be careful when placing a fountain in your home. The mistake often made in placing a water fountain is locating it in the wrong sector. The best place for a water fountain is outside your home or in a known water sector of your home. In Black Hat Sect feng shui and Classical feng shui, north is considered the water direction. In Form and Compass Feng Shui you can utilize the Eight House Theory and Flying Star principles to further determine the sectors of your home to use each element for cures and remedies. Outside fountains should flow toward your home. If you place a water feature outside your home and the water flows away from your home, you will quickly see your money flowing away from you either in mounting bills or even the loss of your job. By the same token, inside fountains should not flow out of the room or out a door or window. Only use one water symbol in each appropriate room. Placing more than one water element in your room won't create greater wealth. This will overload the energy and backfire on you by creating great loss. Remember, it's all about balancing the chi energies in your home. Using paintings and photos of rivers, waterfalls, oceans, and other bodies of flowing water is an easy way to introduce a water symbol into your home. Again, you want to be certain that you are placing the painting or photo in the correct sector of your home. A popular way to introduce the water element into a room is by using a scroll that has the Chinese character written on it. If you're an artist or know calligraphy, you may wish to create your own version for a frameable work of art. You can place it in a metal frame since metal attracts the water element. When the Chinese character for water is used as a symbol, it calls the water element and draws it to the sector. This symbol can be placed in the north sector of your home. You can add this symbol to your office. Hang the frame symbol on the north wall. The Kan trigram is found in the north sector of the bagua. The water trigram is made up of two top broken lines, one solid middle line and two broken lines on the bottom. The solid line is considered yang energy (heavenly) and the two broken lines are yin energy (earthly). The kan trigram symbolizes the water contained by earth. 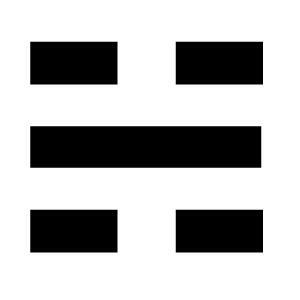 The kan trigram also represents the middle son of the family. If the north is afflicted, then the son will suffer. The parts of the body affected by this sector are the kidneys, ears, and waistline. The number for the kan trigram is one. In Black Hat Sect of feng shiu, color is used to activate elements. If you practice this school of feng shui, you'll want to use the colors assigned to the water direction, north. Black and blue are the first choices for water element activation in Black Hat Sect feng shui. You can also use northwest colors of white and gray. You may have noticed an aquarium inside many Chinese restaurants. This is an ancient feng shui practice, taken from the use of koi ponds throughout China. The correct placement of this water feature ensures wealth and a successful business. The practice is to place seven red fish, usually goldfish, and one black fish in the tank or vice versa to activate the elements that bring prosperity. Never place an aquarium tank in a bedroom. You can also use an object for a water symbol in your feng shui design. The Chinese use some very specific water symbol objects. Sculptures and drawings of fish, especially koi make a wonderful symbol. Brass or another metal frog, especially Good Luck Frogs that sit on top a pile of ingots. This popular Chinese depiction shows the frog with its third foot firmly planted on the gold and has a Chinese coin in its mouth. This frog serves two purposes. As a water dweller, it represents water and comes bearing an actual coin to help stimulate the flow of money. All kinds of boats and ships can be used. You aren't limited to just Chinese symbols, you can also use American symbols of the ocean such as anchors, seagulls, crabs, seashells, and many other symbols. Be creative in your choices for your décor. There are many objects or symbols you can use in feng shui applications that represent the five elements found in nature. Symbols for each of these elements can activate the energy associated with that element and draw more of the element energy to it. The five elements are responsible for the balance and harmony of chi energy. Chi energy is comprised of two opposite energies, female (yin) and male (yang). These energies must have an equal balance in order to create and maintain chi (energy) harmony. Ultimately, place any water symbol you use in your home in the correct sector of your home to activate and balance the water element. In addition to the north sector, you can use the water element in the east (wood) and southeast (wood) sectors since water nourishes wood in the productive cycle.